Offering you a complete choice of products which include ureteral dilator set, amplatz renal dilator kit, screw dilators, renal dilators, pcnl metal dilator set and facial dilators. 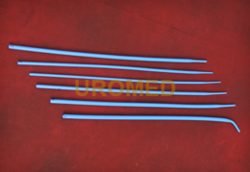 We specializes in designing Ureteral Dilators, which are known for their durability and are available to our clients at reasonable rates. 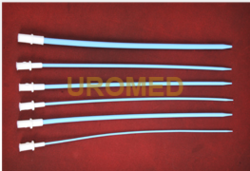 Our range of Ureteral Dilators is extensively used for facial Dilation of the ureter prior to ureteroscopy for stone manipulation. The product is available in various models to fulfill the diverse requirements of our customers. Every product is quality tested before delivery to the customers and are manufactured under the surveillance of our experts. These products are very cost effective and are highly demanded by our customers. 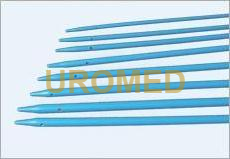 Manish Medi Innovation has introduced UROMED AMPLATZ RENAL DILATORS KIT which has fine tapered tip for the smooth and easy dilation. It is used for progressive dilation of the nephrostomy tract prior to percutaneous kidney stone removal. Smooth surface reduces patient's trauma. 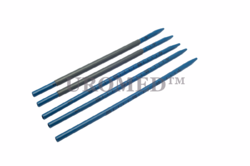 We are counted among the leading industries engaged in offering a wide range of Screw Dilators to our clients. They are widely used for one step dilation, can be used instead of sequential dilation. These are fabricated using premium quality raw material, sourced from the authentic vendors of the industry. These products are manufactured in compliance with industry set quality standards and are widely demanded these days. Our clients can avail the product from us at very reasonable rates and within the specified time frame. 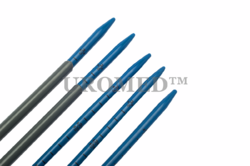 Our organization is engaged in manufacturing and exporting of Renal Dilators, which are manufactured under the supervision of our expert professionals using the latest techniques. The raw material used in the manufacturing process is of very high quality and is manufactured in adherence with industry set quality standards. 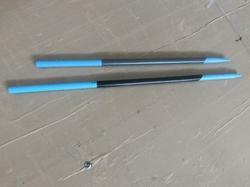 It is widely used for dilation of a tract to the kidney for removal of stones. We offer these at affordable prices and also customize the range to meet various requirements of our clients. Being one of the leading firms, we ensure high quality Facial Dilators are delivered to the customers. The product is widely demanded and is used for facial dilation of the ureter prior to ureteroscopy & for stone manipulation. Our range is reckoned for its high performance and other salient features, which is unmatched in the industry. The product is cost effective and is packed using high quality packing material to ensure its safe delivery till the customers end. 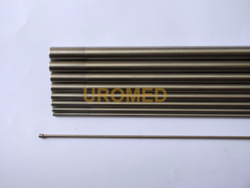 Being one of the top most manufacturers and exporters of Urethral Dilators, we ensure that the customer is getting the quality product and within the specified time frame. Our range is reckoned for its flexible cystoscopy revealed quite non-invasive and is widely appreciated all across the globe. The product is manufactured using high quality raw material and latest technologies evolved in the industry. Every product is quality tested on varied parameters before delivery to the customers. Our organization is engaged in manufacturing and exporting of Amplatz Sheath with Dilator, which are manufactured under the supervision of our expert professionals using the latest techniques. The raw material used in the manufacturing process is of very high quality and is manufactured in adherence with industry set quality standards. It is widely used for dilation of a tract to the kidney for removal of stones. We offer these at affordable prices and also customize the range to meet various requirements of our clients. Our firm is engaged in the manufacturing and exporting of high quality Filiform Dilators. 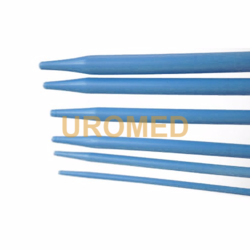 It is used for self dilation of urethra and is widely used by clients across the globe. Our range is manufactured in compliance with the set industry standard and is customized as per the clients’ specified requirement and detail. We offer these at industry leading prices and delivered to the customers within the specified time frame. Every product is quality tested several times before delivery to the customers. Looking for Dilators Set ?